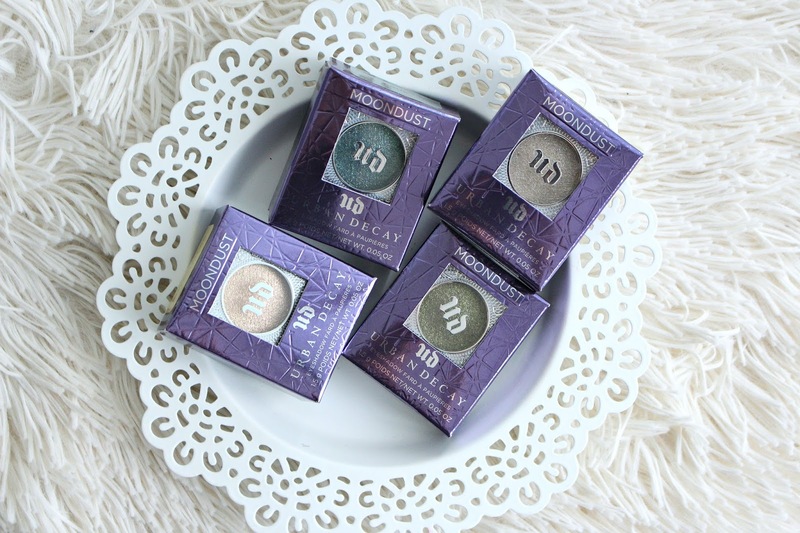 The Urban Decay Moondust Eyeshadows have been around for some time but I was recently given some at the opening of the Urban Decay Flagship Store Grand opening. There are 25 shades in the range, which is amazing. Sephora stocks the least amount, if you want to find the full range you can check out an Urban Decay store or their website. 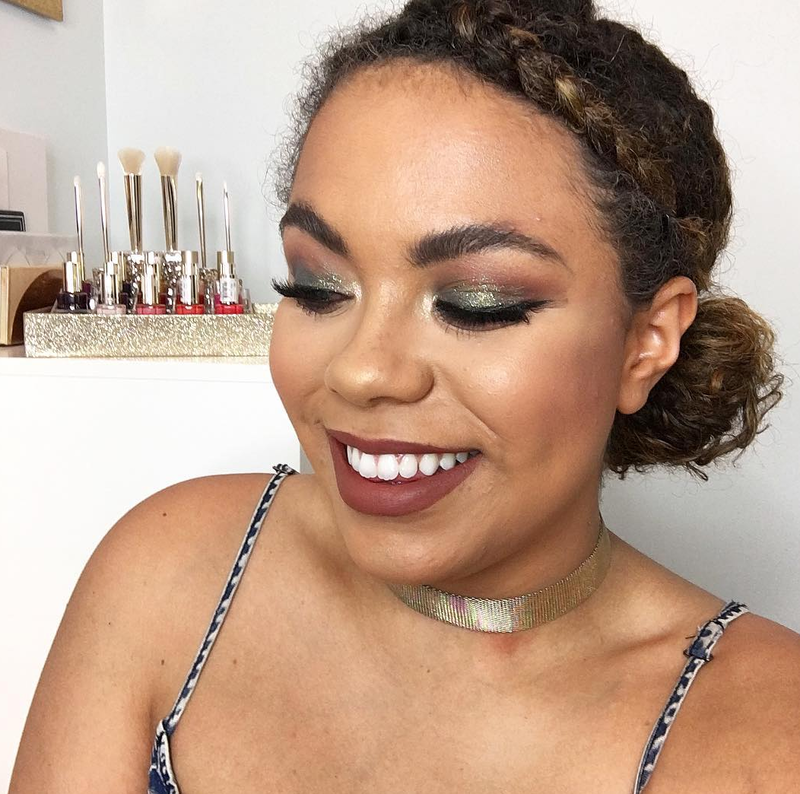 The shades I'm swatching today are exclusive to their stores and site. 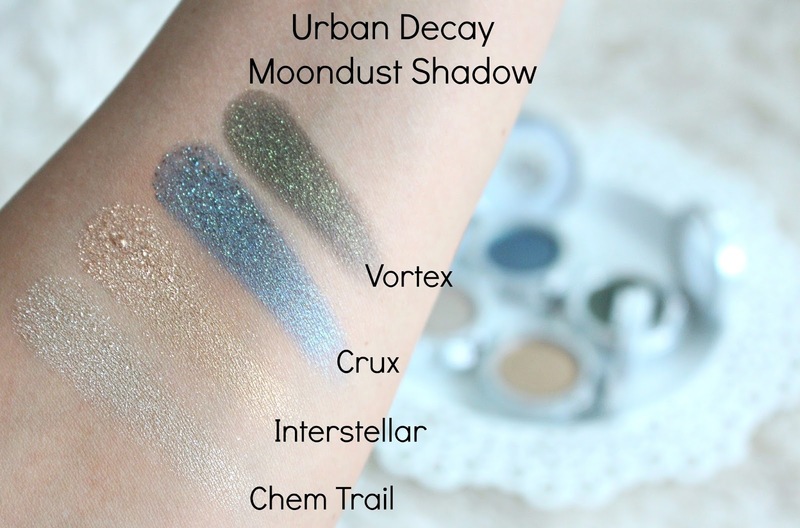 The Urban Decay Moondust Single Eyeshadows retail for $21 USD/$25 CAD. So they aren't cheap, but they are pretty damn unique and gorgeous. 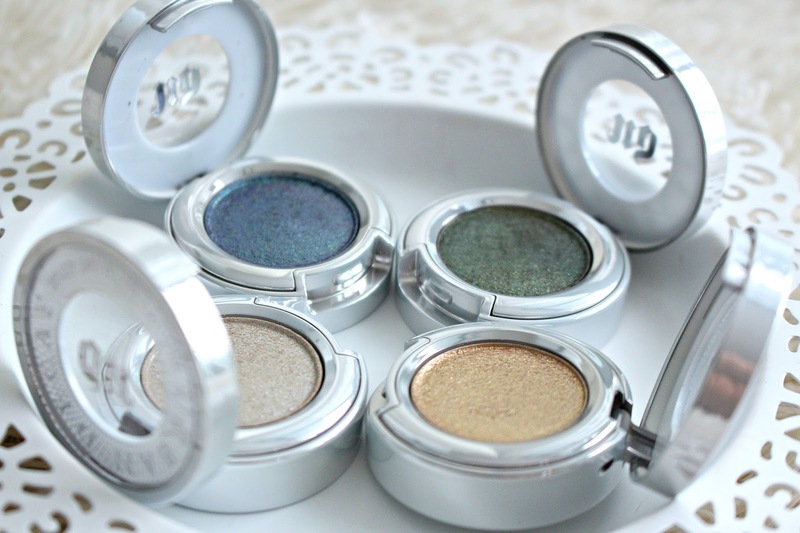 Urban Decay describes them as a sparkly shadow that is ultra-sophisticated. To the touch they almost feel like a cream shadow, but they apply like a powder. I recommend using your finger, or a synthetic brush sprayed with setting spray or a little water. Using them wet will reduce fallout during application and give them a more intense look. That being said I did't have major issues with fallout and any fallout was well worth the finished result. These won't be for everyone, be it the price tag or the glitter but I am so glad I tried these. I don't often reach for loose glitter, so I see myself reaching for these more often. More user friendly in my opinion. I feel like they are a really nice hybrid between a glitter and a traditional shadow. There is plenty of pigment but then the beautiful punch of glitter! *These products were provided for my review, some links are affiliate.